Paperback, 6.25 x 8.5 in. / 256 pgs / 25 bw. By Terry Smith. Introduction by Kate Fowle. What is contemporary curatorial thought? Current discourse on the topic is heating up with a new cocktail of bold ideas and ethical imperatives. These include: cooperative curating, especially with artists; the reimagination of museums; curating as knowledge production; the historicization of exhibition-making; and commitment to extra-artworld participatory activism. Less obvious, but increasingly of concern, are issues such as rethinking spectatorship, engaging viewers as co-curators and the challenge of curating contemporaneity itself. 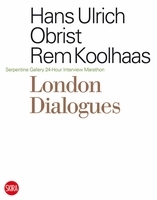 In these five essays, art historian and theorist Terry Smith surveys the international landscape of current thinking by curators; explores a number of exhibitions that show contemporaneity in recent, present and past art; describes the enormous growth world wide of exhibition infrastructure and the instability that haunts it; re-examines the contribution of artist-curators and questions the rise of curators utilizing artistic strategies; and, finally, assesses a number of key tendencies in curating as responses to contemporary conditions. Thinking Contemporary Curating is the first book to comprehensively chart the variety of practices of curating undertaken today, and to think through, systematically, what is distinctive about contemporary curatorial thought. Art critics, art historians, the general public, and even artists don’t pay sufficient attention to the curatorial thought behind exhibitions. They tend to assume that it is the same kind of thinking that they do. 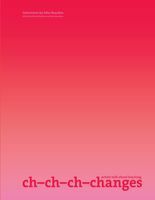 Thinking Contemporary Curating tries to distinguish what is distinctive about how curators think and what they do, yet also identify what they share with other artworld actors. Concisely informative (for academic texts), [it offers]. at least for this reader, a long-needed overview of the professionals who-- even more than artists, dealers and collectors, and way more than critics-- run the art world today. 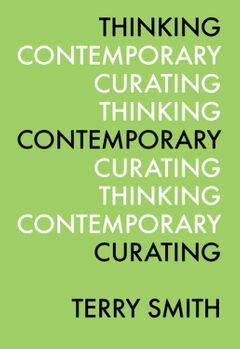 Smith's book... considers the issue of what it means to curate "the contemporary". It draws on his broad knowledge and lengthy experience in the field to produce an account that is global in scope and that considers a remarkable range of exhibitions, institutions and practices. [It] tellingly describe[s] the increasingly professional, institutional, academic, theorized, and historically informed character of curating. "Terry Smith is that rare art and social historian able to write criticism at once alert to the forces that contextualize art and sensitive to the elements and qualities that inhere to the works of art themselves." FORMAT: Pbk, 6.25 x 8.5 in. / 256 pgs / 25 b&w.